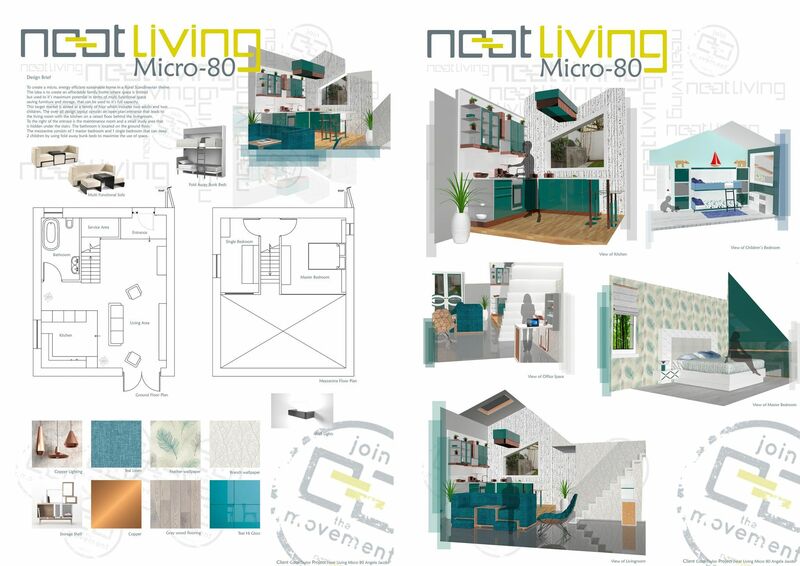 For 2018, the Designers of Tomorrow have responded to a challenging design brief by developing concepts for either a rural Scandinavian theme or an upmarket London theme, based on the Neat Living micro 80, an 80m2 home. This year’s judging panel comprised entirely of former West College Scotland students who returned to see the work that this year’s students have produced. 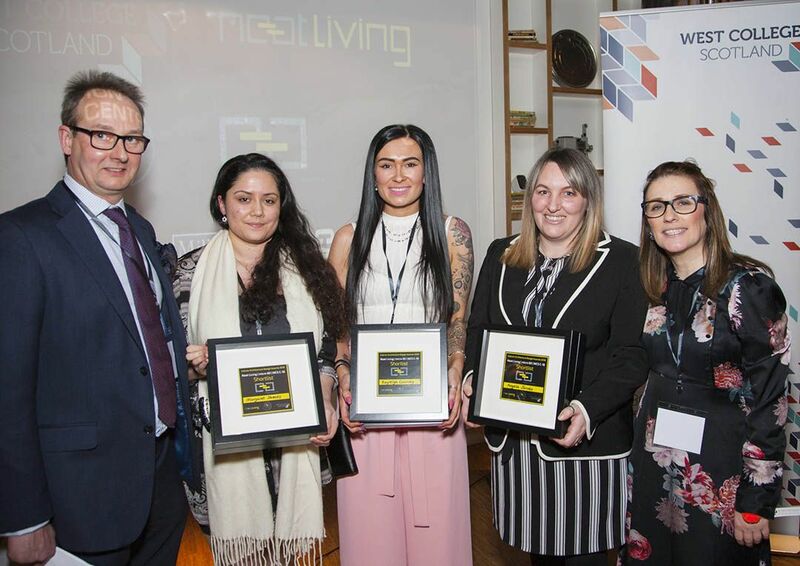 Big thanks to Lia Keown, Mhairi-Claire Wilkes, Joanne Cherry, Amy Savage, Alex Lake, Teri McLaughlin, Andrew McCaughran, and Mhairi Urquhart who were able to connect with and support the next generation of Designers of Tomorrow. 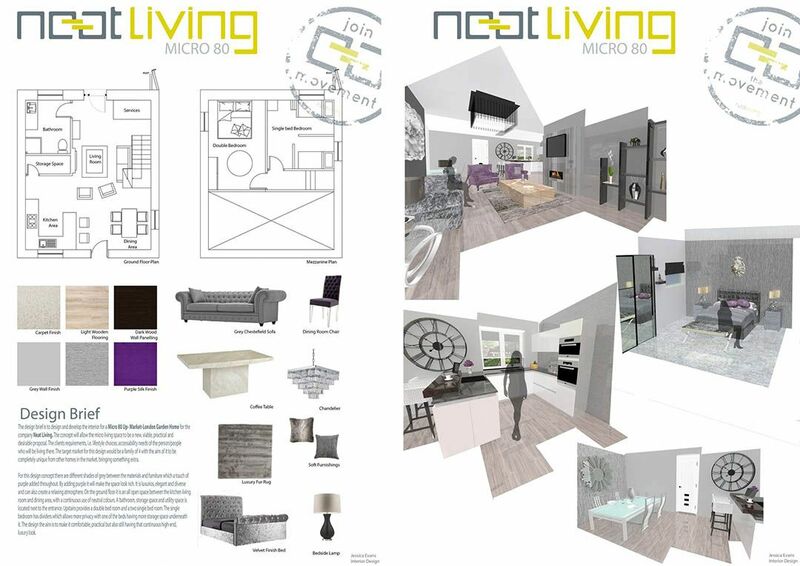 Calum really took on the challenge set in the brief and made considerable effort to complete a substantial research around micro living solutions, creating a comprehensive sketchbook with detailed concepts, and translated those into detailed floor plan and design solutions. The quality of his work impressed the judges who awarded him as the winner of the 2018 Designers of Tomorrow Award. Congrats Calum! Magdalena’s design really looked spectacular. Although Magdalene thought 80m2 is a small space, the final design wowed the judges on the day with her fantastic design of the stair, splitting in two directions at the top. Magdalena also created sophisticated recesses to offer a space for relaxation or researching, proving that great design can make a smaller space fabulous! A fantastic effort Magdalena! 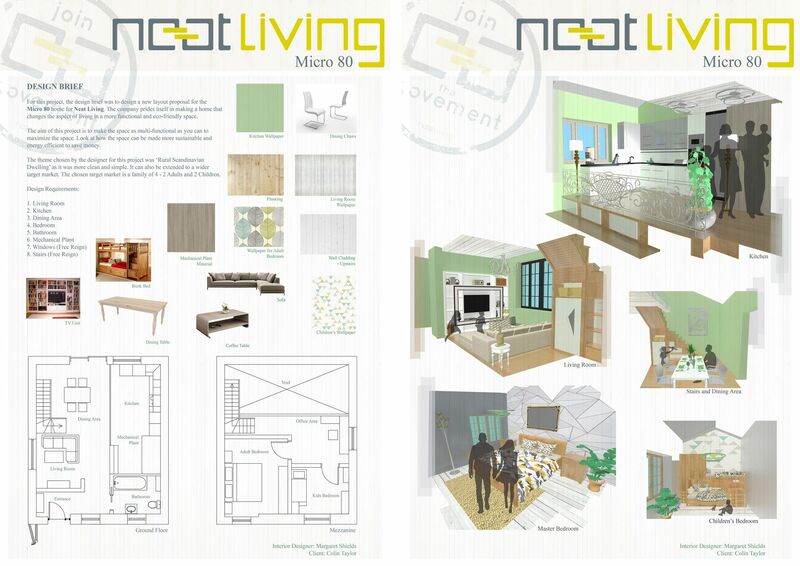 Jessica put forward a very well considered design for the Neat Living home. 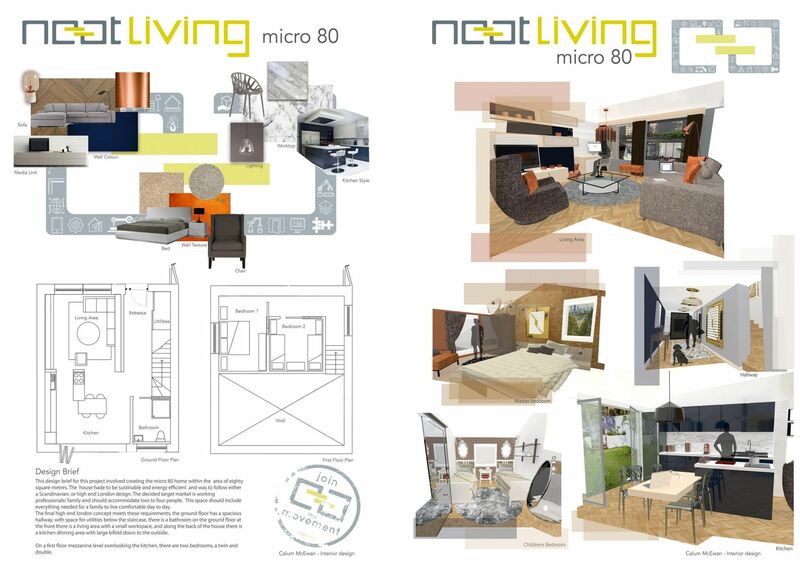 Using a combination of high end, quality products, with transformable elements, Jessica created a sophisticated micro 80 home that was also very adaptable for different needs. A well earned 3rd place overall Jessica! 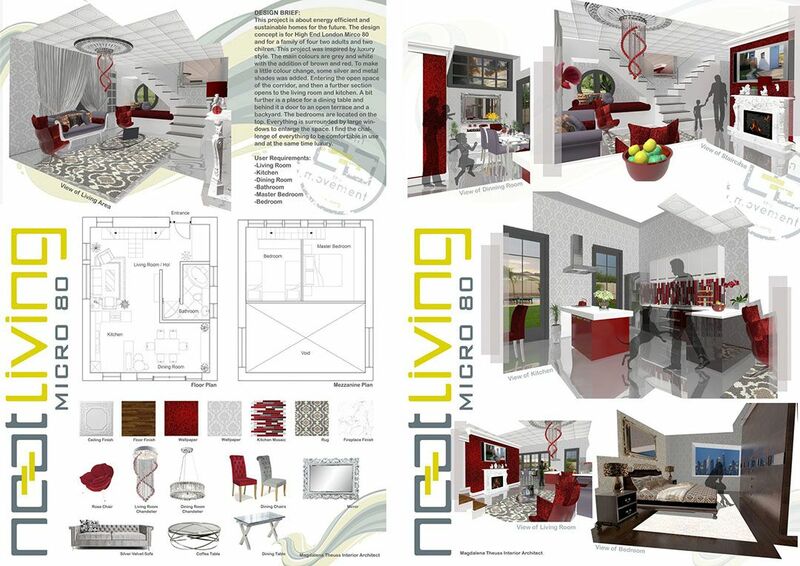 This year’s wildcard vote, open to the public for their most popular design, went to Malak Shegawra. 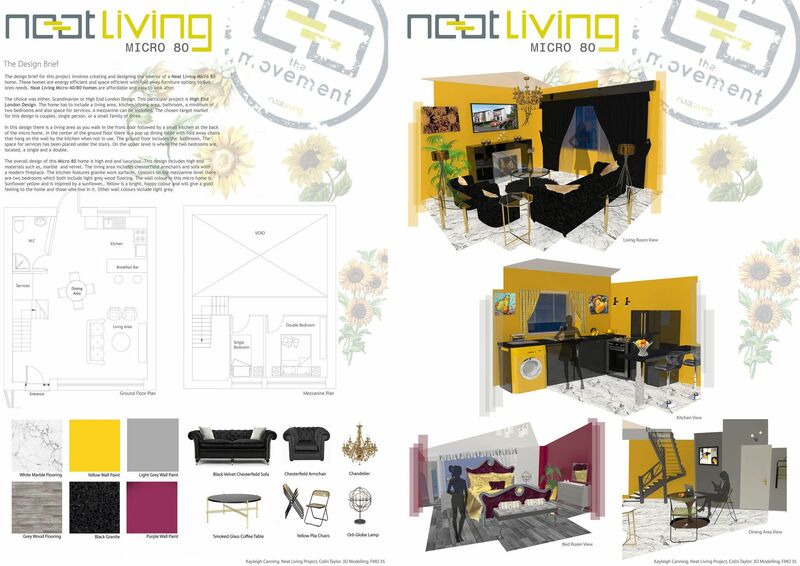 Malak’s design of the micro 80 home was fantastic and she is a very able and hardworking designer. 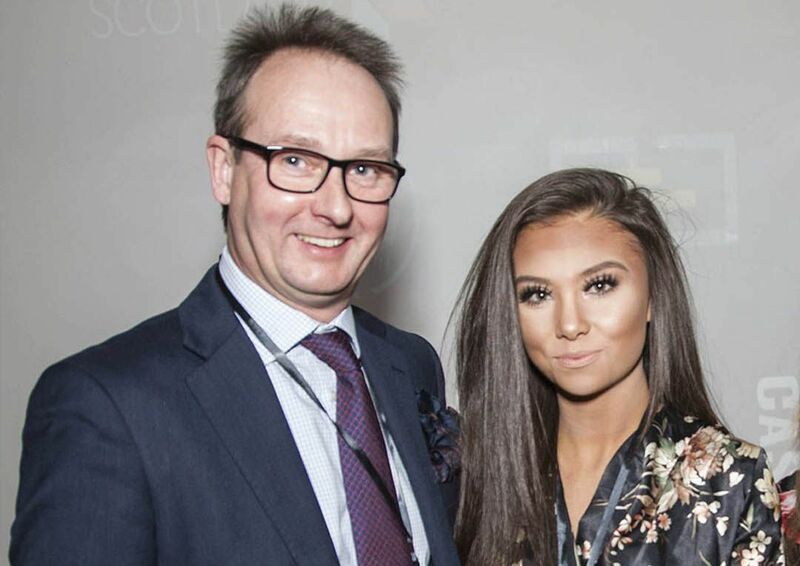 Congratulations to Malak, whose design was fantastic – she has so much to offer as a great Designer of Tomorrow. The overall standard from the class this year was fantastic. 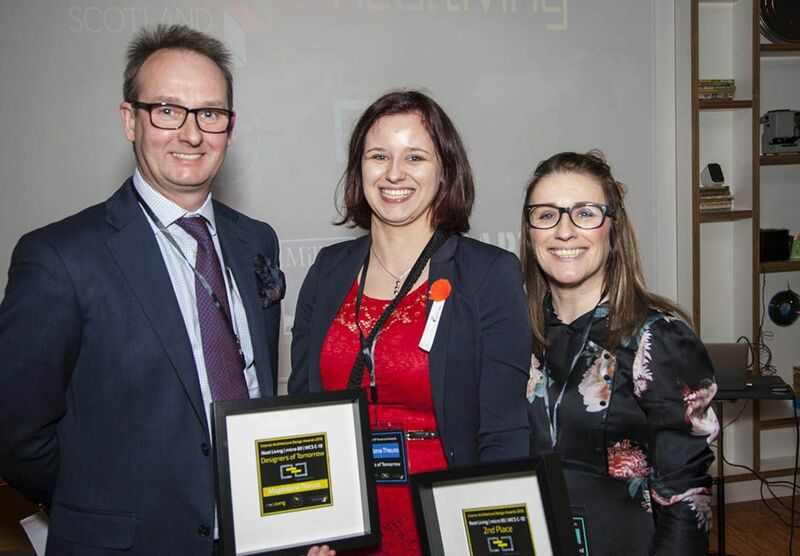 From a wider pool of six names, the following were selected to be shortlisted – including (l-r) Margaret Shields, Kayleigh Canning and Angela Jacobs. 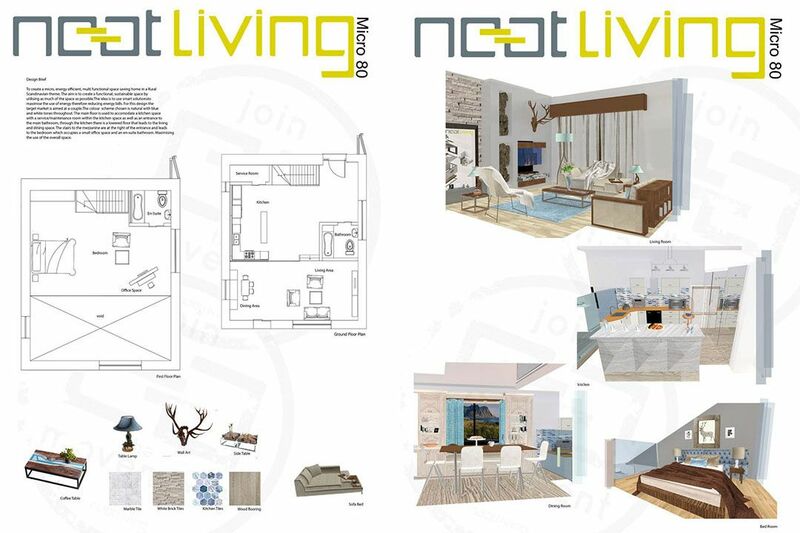 All three had shown tremendous ability – not only in delivering comprehensive and considered final designs but also each had also shown a great deal of personal effort and dedication throughout the 12 week project. Check out Margaret’s, Kayleigh’s and Angela’s work below! 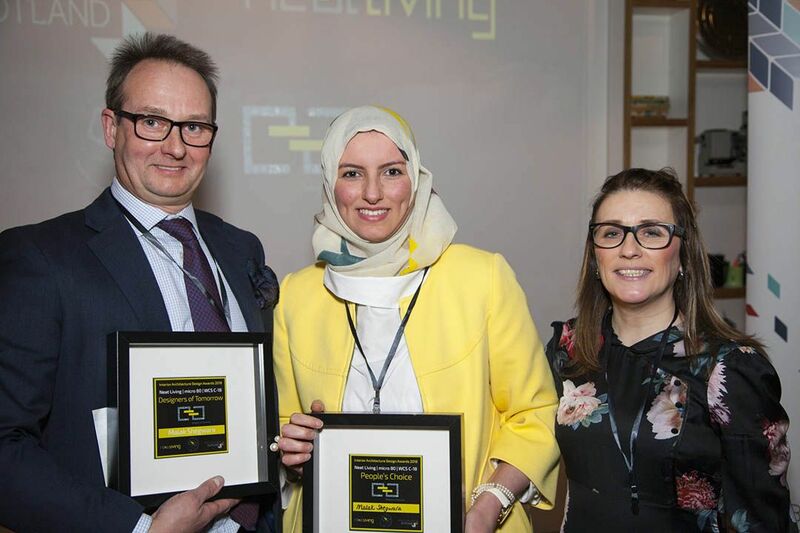 This year, we were delighted to welcome as our key industry speaker Fiona MacDonald, Business Development Manager, from Construction Scotland Innovation Centre (CSIC). 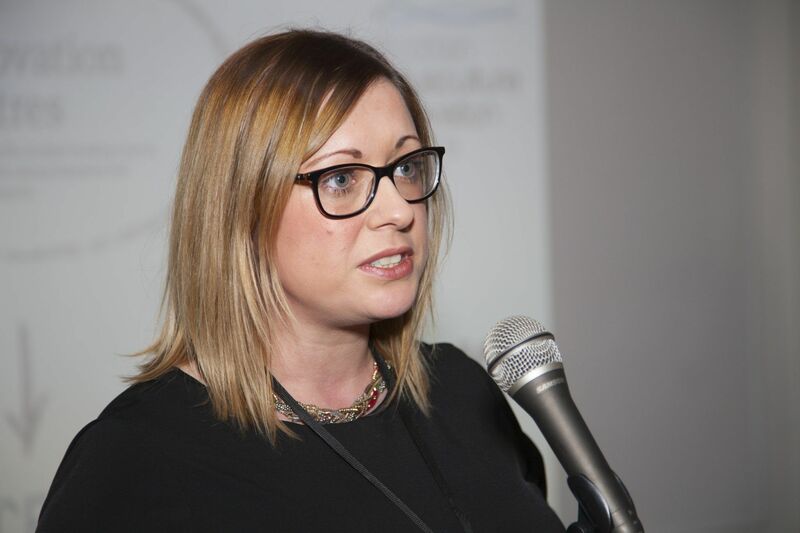 Fiona presented reasons why Government has set up CSIC, that innovation is key to wider economic success and industry requires to attract and develop new talent. 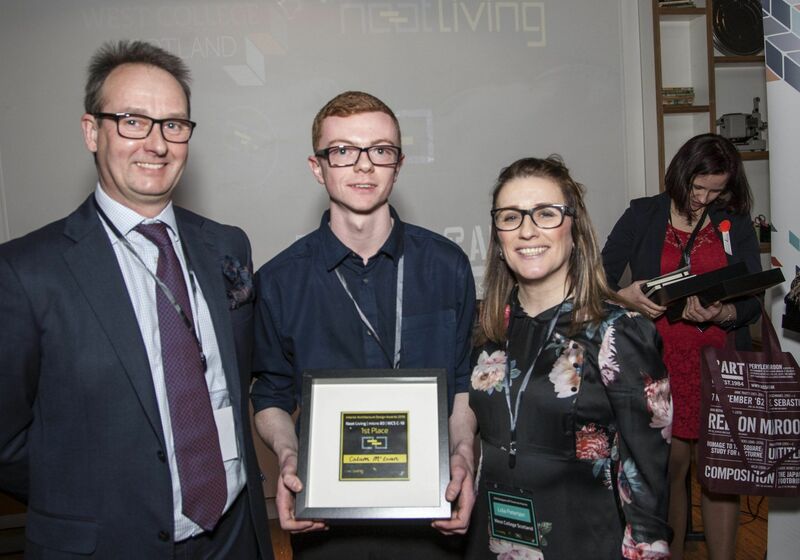 These pan-wide industry challenges, within Scotland, across the UK and Internationally represent exciting and varied opportunities for eager Designers of Tomorrow!